It’s Thursday! It’s ‘Reads Ramblings! I have to keep it forever, there really is no cure. This little secret stays here, nice and safe with me. If only I could put into words, I’m sure it would surprise you. It will stay with me until the day, I am happy to get old. Do you really know what will it take to make you happy? Think about it and see if you can discover what it will take for you to be happy? Will being in a relationship, or with the right boyfriend/girlfriend make you happy? Will being married make you happy? Will having a million pounds make you happy? Will being successful make you happy? Will having better health make you happy? Will getting a new job make you happy? Will having a great career make you happy? If you think the answer is yes to any or all of the above questions, you’ll never find happiness! Surprised? Well don’t be. The truth is nothing can make you happy. Happiness is something we feel, not something we can find. Being happy doesn’t depend on a particular outcome or something happening to you. There isn’t somewhere you can go and find happiness sitting there waiting for you. Advertising of all sorts is designed to make you think that a new car, a particular skin cream, a new outfit, some new shoes, a drink or a new diet will make you happy, but that is simply not true. Nothing can make you happy because happiness is a feeling. Happiness is something you experience. If you want to be happy, then be happy. Most people don’t choose to be happy because they spend most of their time focusing on what they perceive is wrong with their life. Think about it, you can’t be happy doing something that you don’t like. If you don’t believe me try it. Try doing something you despise and see if you can be happy at the same time. Trust me, you won’t be happy doing something you don’t enjoy! You also can’t do something you really enjoy and be sad or angry. Don’t believe me? Try it. See what happens. Go and try doing something you really enjoy and see if you’re angry or miserable at the same time. That really doesn’t work. Unfortunately, people believe they can be happy when they achieve a particular goal and make the mistake of chasing that goal in order to be happy. It’s really not achieving the goal that makes them happy. It’s the feeling of achieving the goal that provides another feeling, satisfaction perhaps, that is mistaken for happiness. This mistake is quite common, because it’s not security or peace of mind that makes you happy. You experience happiness when you do what you enjoy and when you focus on the positive things taking place in your life. If you’re not doing that then you can never be happy. Don’t think that you can be happy just by having something. doing what you enjoy, having fun while achieving your goals and choose the right goals, the kind that allow you to be happy all the time. Focus on what you want. Start doing the things that you enjoy. Look at the positive things that are going on in your life. Direct your mind and subconscious mind to help you experience happiness every day. This will start once you begin to appreciate the good things in your life. Okay so how can you begin to be happy? It’s really quite simple, all you have to do is shift your focus. Instead of looking at all that is wrong with your life, instead of looking at what you don’t like about yourself or your life; constantly criticising; change your focus. Start appreciating all that is good in your life. 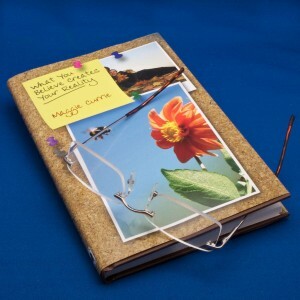 Make a list if you want and write out all of the positive things in your life. Usually someone will say: “Maggie, I can’t think of anything positive or good in my life. I just want to be happy.” That’s only because they are not seeing all the positive things in your life. And so you’ll never be happy. Every day there are wonderful things taking place in your life, yet you fail to observe and recognise them. You tend to take them for granted. This can be anything – a hot meal, a wonderful spouse, family, a beautiful flower, lambs playing in a field – If you have a roof over your head, that’s a positive aspect of your life. Start looking at all of the great and terrific things that are going on in your life and you’ll begin to experience happiness on a deeper level. You can begin to improve or change the areas that you are not happy with but at the same time you should acknowledge the good things that are going on in your life. Your mind is used to only paying attention to what is going wrong and in the process it directs the subconscious mind to continue creating more of those things that are going wrong. You actually create more of what makes you unhappy. Because your subconscious creates what you regularly think about. So if you don’t regularly focus on the positive things you won’t create positive situations in your life. And here’s where it gets worse. When you constantly focus on what is wrong with your life, when you only think about and see what is wrong in your life your subconscious begins to create more of what is wrong or more of what you don’t want because it thinks that you want more. Now you know why it can be so difficult for some people to truly experience happiness, it’s because they’re used to focusing on the negative aspects of life and in the end continue to create more of what they don’t want. In order to change all of this you have to begin training the mind and re-directing the subconscious mind to begin creating what you want in life and to focus on the good things that are taking place in your life. Begin experiencing happiness by changing your focus. Everyday think of the positive things that are going on in your life. Make a list of all the wonderful things that are taking place in your life. Think of at least 3 great things that happened to you they can be small or large – but just appreciate 3 good things that happened during the day. Focus on the positive. Too often I hear from people who simply want to be happy but when I ask them what they do for fun they say: “Nothing.” No wonder you’re not happy. How can you be happy if you’re never having fun in life? If you want to experience happiness then start doing things that you enjoy. You may like gardening; you may like hang gliding, you may like riding your bike, you may enjoy going for long walks, you may enjoy acting like a 5-year old – whatever it is start doing it and see how great you feel. But there is one catch when you’re doing what you enjoy, you can only focus on that and not think about anything else that may be bothering you. That’s the only way you’ll truly enjoy the activity and begin to experience happiness. As adults we get bogged down with the everyday tasks that force us to be serious. We have jobs where we’re serious, bills to pay, food to prepare, children to look after, it’s all too serious and it is necessary. I’m not suggesting you ignore your responsibilities – but take some time just to have some fun. Now you can’t just have fun once a week or once a month. You have to do this every day. That means every day you have to find something fun to do, and only then will you get comfortable and used to the process to the point where you regularly experience happiness. Once you start doing this you’ll enjoy it so much you’ll wonder why you never did this to begin with. If you don’t feel you have the time to have fun and enjoy your life then you’re really saying that your happiness is not important enough. Only when you decide to be happy will you truly begin to experience happiness. You can work with the techniques I’ve outlined – they will help you get started. But you will need to train your mind and subconscious mind to begin seeing and living in a different way. It’s Thursday! It’s Reads Ramblings! Good morning all, here we are again. Another day at the office, so let’s all now begin. First let’s update the ledger and sort out the post. Make sure you make a separate pile for the things that matter most. Chop, chop everyone we need to get this all done. We don’t have time to chatter and drag our feet along. Lots to do before lunchtime, all hands to the deck. Better get moving quickly before we get it in the neck. Another day at the office, oh what a hectic time. Busy busy, busy, were at it all the time. Soon be clocking off time and then home for that special unwind. A time to relax with reflection on my colourful life, I find. Bob’s Rant – Throwing down the gauntlet to our new Police Commissioners! Bob Bridgestock infront of the world media. What’s happening in the world of law and order in 2013? Some forces still have to make vast savings on their expenditure yet still I see no change at ‘The Top’! We still have the same number of highly paid Assistant Chief Constables, supported by a large number of Chief Superintendents and in turn Superintendents, Chief Inspectors… Why can’t they see the service NEEDS to be pruned from the top NOT at street level. The starting salary for recruits is being reduced by £4,000 yet the Chief Constables are looking at a pay rise up to as much as 10% on between their £130,000 to £181,000 per annum salary. Will this not be seen as a reward for compliance with the Government right arm-police and crime commissioners, who of course already have budgets for their assistants? The barely visible ‘thin blue line,’ is already supported massively by more volunteers than ever before but the reduction in recruiting and reduction in salary makes it even less attractive to put one’s life on the line to protect the community. Already I know of serving officers who have second jobs to pay the household bills – not expensive holidays. Policing they say is a vocation and whilst I don’t disagree, standards and salary need to be adequate to ensure a credible, transparent and trustworthy community service. What happened to the idea of reducing the number of Chief Constables by them covering more than one force? After all they have sufficient assistants to make this possible. This would also reduce the number of commissioners and their assistants too. Resources are centralised so why not the hierarchy? Maybe then we could utilise the savings for the front line officers who are almost extinct in some areas. 42 people serving life imprisonment were released early last year. Will this year see any increase in that number? There are less people being sentenced to imprisonment and if they are actually sent down if they show ‘good behaviour’ they even get an early release! Have we not created homes/hostels for some and a B&B for others who are allowed to clock out daily from our prisons and clock back in again at night? The victims of crime and the public deserve, no demand law and order in this land and punishment for crime – simple transparency in what sentencing really is, would be a start. We need a deterrent – re offending is too high so the system requires overalling once and for all. Or behind this inadequacy is there some hidden agenda – more privatisation? I end on a positive note. It is early days in 2013 and we should always seek out the positives in everything. This I feel is that the majority of us still h ave respect for others and their property and we continue to teach our children the difference between right and wrong. I am not aware of any forces planning to reduce the levels of hierarchy even though they remain in huge financial difficulty and top heavy, are you? Yet at the sharp end moral and numbers dwindle to an all time low no matter whatever positive spin they try to blindfold us with. At the moment I am aware that there are more people wishing to join the regulars and even these are finding it hard to be accepted into the role of an unpaid Special Constable. Many of these are hoping the route will get them a foot in the door. Will they still hold that dream when the starting pay is now reduced by £4,000? Whilst not voting for or believing in police commissioners perhaps they could change my view on collectively standing up for the service. Reject the Governments intentions on reducing police starting pay and deal with the top heavy service. I throw a gauntlet to you and give something to show us your worth to our society! There is no mistaking this great time thing. ‘Come on’ it says ‘it’s time to go’. How does it know? How can it tell? It’s always on time as if it knows you so well. A meeting or appointment or a place to be. Our Town Hall Clock is the best in Morley! Carol’s ‘Close Up’ today with new blog Feature Poet Janet Read! 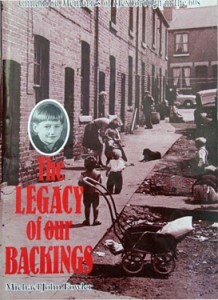 ‘Reads Ramblings’! I am excited and pleased to be doing an interview today with Janet Read who is heading our new feature ‘Reads Ramblings!’. 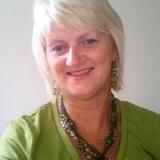 Janet is a Yorkshire lass born and bred… Come with me an learn more about our talented new poet! Tell me and our readers abit about yourself. I consider myself lucky, loved and cared for. I’ve always worked hard to earn a crust and now work within the Emergency Lighting and Fire sector, helping to promote safety measures around the world. I must confess to never really being a career minded sort of girl, although I’ve turned my hand to a lot of different jobs in my life time. I do enjoy the social get together that working offers and the fact that it pays the bills! If I won the lottery I’d be away with the fairies! I guess I’d have to do some serious thinking whilst soaking up the sun somewhere. I would consider a villa here and there, maybe a vineyard or two, but I could never forget my family and all the help they have given me, they are all so very special… and of course my friends, everybody need them so it would be nice to give something back to mine. Spare time? On occasions I like to put my feet up with a glass of wine or two! (Red of course) A nice meal and good company – perfect. I once wrote a poem for a competition to create the slogan for the label on a bottle of well known ‘Bats Blood Merlot’ it did get acknowledged but it wasn’t successful enough for me to win the free case of wine, shame! Here it is! Experience it’s flavour a legend in your palm. I love my holidays, but who doesn’t and my weekends are precious. I adore walking and after being stuck in an office all week I like being outside in the open air. My favourite place is Allanbank House in Grassmere, one of the National Trust Sites, everyone should go there at least once it’s so tranquil and serene, it’s no surprise that Wordsworth was inspired there. The National Trust bought it and are now in the process of restoring it after it has been empty for years. The rooms are still quite sparse but visitors are invited to write their renovation ideas and good wishes and post them around the walls of the house. The National Trust want as much involvement as possible as to what they think should be done to the house and its wonderful grounds, you must all go and see! My brother Bob and his wife are my mentors for my writing antics. They have both done so very well with their books, the competitions they organise to inspire others, especially children and their book signings… I’m so envious. They never stop working though, I’m sure that they work harder now than before they retired! You mentioned your acclaim from the ‘Bats Blood Merlot’ competition, do you enter a lot of competitions? I love entering writing competitions, whether it’s for poetry which are my favourite or short stories. I always have my scribbling pad and pen with me at lunch time whilst tucking into my sandwich. I write about anything really, whether it’s about people, the weather, situations I’ve found myself in, or even the town hall clock which you’ll read in my first feature @ Reads Ramblings which I am so excited about. Linda my friend is also an inspiration to me, both with her sewing techniques and her ebay selling. She’s is a very talented lace maker. She once made me a lace bookmark, it’s beautiful. We share all sorts of idea’s, sewing, dressmaking, writing and we also have days out together, she also likes red wine which is a bonus! It’s been lovely chatting to you Janet. I’m sure ‘Reads Ramblings’ are going to be very popular. The first feature will be live on Thursday and every Thursday till we run out of your poems so keep ‘em coming! Life happens. It doesn’t matter how positive or balanced and centred you are, there are going to be times when you are knocked sideways. Times when your carefully organised life is turned upside down and you get knocked for six. Life happens! You may be challenged with any number of situations that will leave you feeling like you were kicked in the stomach. It may be the loss of a loved one, a divorce, the loss of a job. Let’s face it. Things happen. They’re part of life and although “everything happens for a reason,” things still hurt. And they hurt a lot! They hurt at the very core of your being. The pain begins in your heart and radiates throughout your entire being. At times like these, you may feel down, possibly depressed. You may feel anger or some other manifestation of your pain. Whatever you’re feeling, it’s ok. It’s ok to feel hurt, sad, angry or whatever your true feelings are. You cannot deny pain any more than you can deny fear. The only way through this is to give yourself permission to feel the feeling. The question is not whether or not you will feel down. The question is for how long will you stay in this state? The difference between people who get through life’s challenging moments, regardless of the seriousness, and those who are immobilised by the events is their ability to bounce back. How quickly can you bounce back? Of course, the severity of the event will have a lot to do with the time it will take you to get past the pain and on with your life. Take the example of two people being downsized from their job, something that is becoming a common occurrence these days. One is floored by the news of his dismissal. He expresses his pain by becoming angry at his employers, his colleagues and the system in general. He spends his days telling anyone who’ll listen, about his “problem.” And usually from a barstool! As he sees it, his life is ruined and he’s blaming everyone for his troubles. People who react like this spend weeks, even months, wallowing in despair until, if they’re fortunate, someone close to them convinces them to seek professional help. On the other hand, the other person reacts very differently. Although they have gone through the same experience and have pretty much the same issues like living expenses, etc., they choose to react differently. After a brief period of feeling a loss of self-esteem, self-pity and anger (quite naturally), they decide to get back in the game. They begin contacting their network of colleagues and friends, avail themselves of courses and other services their former employer offered everyone and starts actively looking for a new position. In a short time they find their “dream job” with an exciting new company. While both people in our hypothetical example had the same experience and both went through a period of hurting, the time each allowed themselves to remain in that dis-empowering state was vastly different. While one remained “stuck” in their problem, the other handled their loss and moved on with their life. This is the key. It’s not whether life occasionally puts you into a tailspin, it’s how long you choose to remain there. When something devastating happens to you, allow yourself some time to grieve your loss, however, don’t allow yourself to get stuck there. Take some action. Join a support group, talk about your feelings with a trusted friend or a professional. In the case of a job loss, perhaps you might want to take some time to re-evaluate your career goals. You may even consider a change in career altogether. When you’re ready, you can begin networking and making new contacts. Attend social or networking events. Call people you know. Do something! One of the most important things to remember in high stress situations is not to allow yourself to become isolated. While spending some time alone is normal, even necessary, isolation can be dangerous and should be avoided at all costs. Get out and be with people as soon as possible. Remember “life is for the living.” It’s important to get back to your life. In time, the pain will pass. Carol’s ‘Close Up’ with Life Coach Maggie Currie! 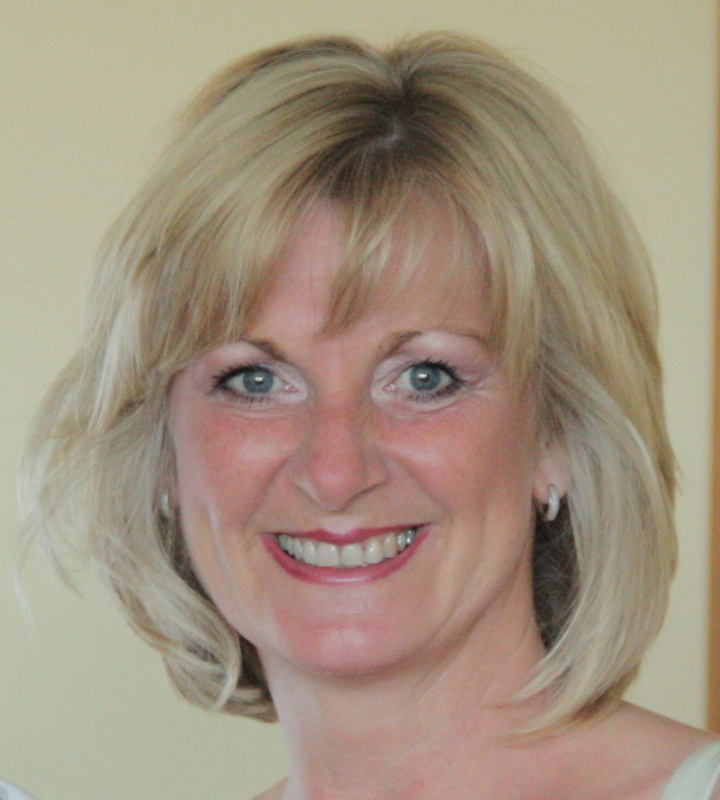 Today my ‘Close Up’ is with Maggie Currie who is a Life Coach. I am very exctied about this interview as Maggie will be starting her very own feature with us, right here, next week. The feature will be called ‘Life Happens…’ and Maggie will be giving us tips, on how to cope! Before we go live I thought it would be nice for you to get to know Maggie and see what a lovely lady she is. Maggie, how on earth do you manage to juggle working, writing, being a wife and a mother? Having been a medical secretary for 20 years or so, I learned early on how to prioritise and I carried this into my home life. I also learned to delegate too. So now I have a lovely lady who comes once a week to do my housework (which I hate doing), the shopping is delivered which saves me several hours each week and leaves me the time I need to work and look after my husband. All my children have left home and have children of their own, so they don’t need my constant attention. What inspired you to write a book then? When I hit rock bottom about thirty years ago, I had very limited help or access to help. I remember I had the flu, all the children had chicken pox and we were all sitting huddled in the living room of my tiny flat and I had just one 50p coin left for the meter. I had no job, I perceived I had no prospects, I thought I have to change something because if I don’t I am not going to survive, and if I don’t survive my three small children won’t survive either. I had to change the way I thought about myself. So I changed one thought, I do have prospects and I can get a job. 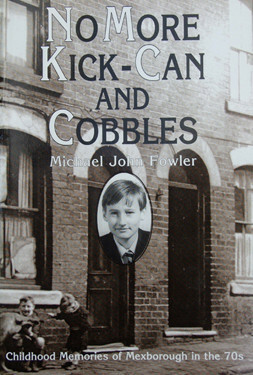 My parents brought me more coins for the meter and when I was better I went out and got myself a job in a school kitchen cooking the dinners. It kick started me back to a proper career and I wrote the book because I didn’t want anyone else to be in that position, and if it helps just one person I shall be so pleased. Do you have a regular pattern or routine the you stick to? I work for myself providing a virtual secretarial service globally. There are some parts to the work that are regular, but mostly it is irregular. Sometimes I can be working at 11 o’clock at night, and other days I am finished by lunchtime. Additionally I am a life coach also working globally and often I am coaching clients at 7am my time which could be 6pm their time, or I could be coaching at 5pm my time which is 9am their time. I love the flexibility of working from home and not having a boss. So no there is no particular pattern or routine. Who would you like to share a cup of coffee and a natter with? I would love to sit down and have a natter with Oprah Winfrey. She is such an inspirational woman who gives so much time to others and has come from a very poor background but has never forgotten her roots. I have seen a couple of her chat shows but they don’t interest me, Oprah herself interests me. I would love to find out more about the real person behind the public persona. I like to relax at home with a glass of wine and good dvd. It could be a film or a series, I have just finished watching ‘Smash’ a series about writing and finding the right actors to play the parts in a musical about Marilyn Monroe. I tend to watch the films and series I like on my own when my husband is out working on Friday and Saturday nights, he runs a mobile disco so is usually out most weeks. And of course I read quite a lot too. Bob is always telling me that my handbag has everything in it bar the kitchen sink, so I’m curious what do you have in your handbag right now? I have a notebook and several pens, purse, Kindle, diary, mobile phone, car keys, house keys, business cards and that’s about it. I love the smell of freshly baked bread and as I make it several times a week I get to enjoy that quite often. I also love the smell of basil, it always smells so fresh and clean. New babies smell gorgeous too. I don’t do very well with perfumes as I am allergic to them so everything I have is unperfumed. What’s the best advice you’ve been given or best advice you’d give? The best advice I have been given is to just be yourself. And that is the best advice I give anyone. You can’t be anyone else, so just be yourself and be the very best you that you can be. What’s your favourite book as a child/adult? My favourite book as a child was Winnie the Pooh and as an adult it has been Gormanghast. Winnie the Pooh because there is so much positivity in it and Gormanghast because it was written by a man in the trenches on little scraps of paper and it is what kept him sane. The descriptions are stunning and the story so imaginative. I am working on writing an online coaching programme to help women going through divorce to be delivered by modules. So far I have written the first two modules and there are ten to go. Each module is around 6,000 words and will be delivered as webinars. It involves creating Powerpoint slides for each module and a workbook for each module. Questions to be answered on the portal etc. It is a great project and I am enjoying it immensely. I would donate some of the money to my favourite charity The Isle of Wight Donkey Sanctuary, some I would use to move house as I currently live in an upstairs flat and would like to live in a bungalow. If it were millions I am not sure what I would with it to be honest. Maybe buy an island of my very own – who knows? Who do you admire in the literary world? Who do you consider your mentor? I admire anyone who can write a book or novel that holds the attention and makes me want to keep reading. There are too many books out there that I can’t get past the first couple of pages and that is a shame because they may get better as they go on, but I don’t want to read any more. As for mentors I have several some of whom are writers, some are life coaches and some are friends. They are located in Australia, USA and UK and I communicate with them weekly, sometimes daily via Facebook. And of course my husband is my greatest mentor as he supports and encourages me in everything I do. I think our readers might be interested to read some of the many testimonials for the work that you do Maggie. ‘Maggie helped me to recognise that I was stagnating and I chose not to do that any longer. I have changed my life dramatically in just one year and now I am really enjoying my life and my new relationship.’ LR, Gloucester. “Things are really good. There is very much a difference in my homelife now, very rarely do I even think about work, which is great. Even my daughter has noticed a difference. I don’t seem to get stressed like I used to. I really can’t thank you enough for your help!” VP, IOW. “It was quite apparent my immediate need for her guidance and advice regarding publishing my book have been adequately and superbly catered for by Maggie.” RS, Portsmouth. “Maggie helped me to make one big decision that led to another, and another, and another – and that’s how my life changed for the better!”— JL. Milton Keynes. 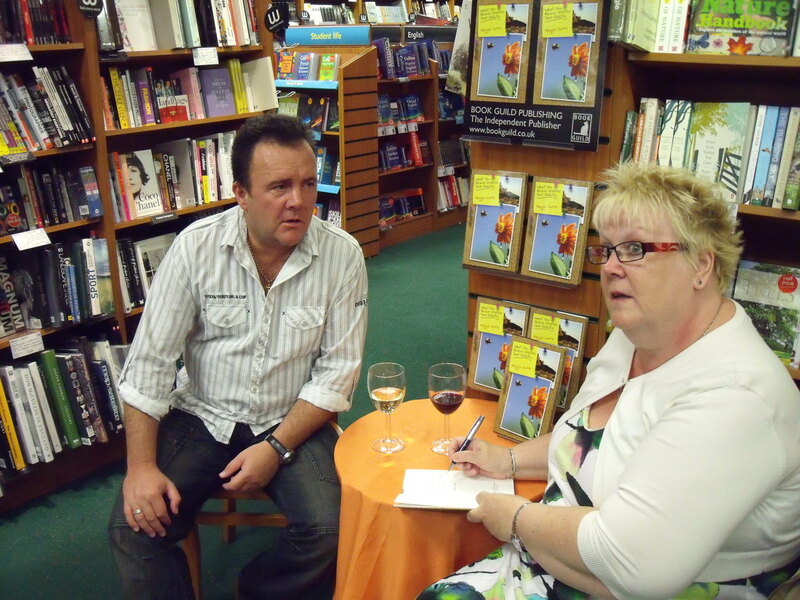 And below are Maggie with Vectis Radio’s Ian Mac at a book signing in Waterstones, Isle of Wight and images of her published books! 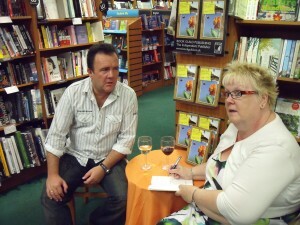 Maggie Currie with Ian Mac from Vectis Radio at Waterstones in Newport, Isle of Wight. 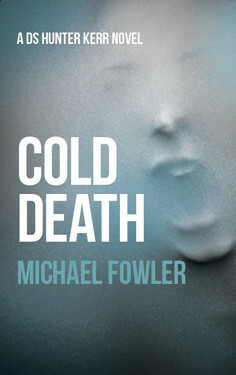 Carol’s ‘Close Up’ with Crime Fiction Author Michael Fowler! Michael Fowler signing copies of his books! 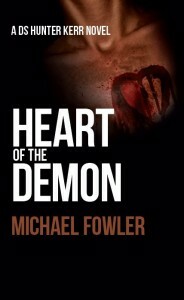 Michaeal what inspired you to write a novel? 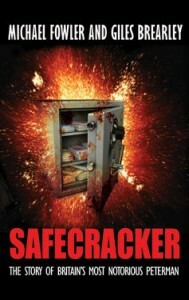 The enjoyment and experience from my previous work as a police officer is the inspiration behind my writing. But also I am an avid fan of crime fiction and there have been many times when I have wondered if I could write a crime novel myself. In 1995 I earned my first publishing contract when Wharnecliffe Publishing, of Barnsley, published an account of my childhood experiences of growing up in my home town of Mexborough. 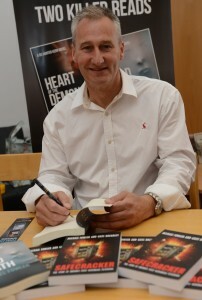 I there met Editor Alan Twiddle, who gave me some wonderful guidance and advice on how to develop my writing. When I retired, and began writing my first crime novel, Alan took time out to read the first draft, and at no expense, pointed out where changes were required to develop the book to enable me to pitch to publishers. He also gave me additional advice on how to continue with the crafting ofmy writing, and how to make my plots stronger and more exciting. His guidance has been invaluable and his kindness much appreciated. I have a studio, a ten minute drive away from home, where I paint and write, and at home I have converted a bedroom into a study. On almost a daily basis, I begin my day by walking the dog, in the fields at the back of my home, using the time to mull over the development of my painting or writing piece for that day. I then work for between 4-5 hours, until mid-afternoon, when I walk the dog again, and reflect on what I have written or painted and go through a mental editing process. In terms of writing, I am half-way through book number four in the DS Hunter Kerr series. In each of the former novels I have alluded to the fact that he became a cop, after his first love was murdered, and he realised that his only path to finding out who killed her was to become a detective. Despite years of investigating he has never tracked down who murdered her. In this novel he finally uncovers her killer. Come on we’re ‘family’ … Good interview technique eh Michael? :-) Share something with us that nobody else knows about you? To set the background to this tale I need to introduce some back-story. The police force I joined in 1976 was totally different to the one of today. Especially, it wasn’t politically correct or sensitive, and on a constant basis someone was always pulling or trick, or ‘spoof’, as they were referred to, against an individual or a group. They were always harmless fun and without doubt they eased the pressures of the job. In fact, some of the ‘spoofs’ that I witnessed were so hilarious that they would have easily graced the TV series ‘Candid Camera’. In 1982, at the age of 22, I passed my police exams to qualify for the rank of Sergeant and Inspector. At the time I was working in plain clothes and so to gain some experience, with a view to going before a promotion board, I returned back into uniform to ‘act up’ in the rank of Sergeant. One day, whilst on afternoons, I went into work and found an A4 envelope in my ‘in’ tray. Inside the envelope was a memo purporting to be from the Chief Constable, together with an armband which had on it two stripes. The memo explained that these should be worn by those in the acting rank, especially when in the public eye. That day I had a planned meeting with fire-brigade officials and the local councillor. I sat in that meeting for an hour-and-a-half, wearing a set of Boys Brigade Corporal Stripes, wondering why so many people kept looking in on the meeting. Billy Connolly – not just a funny guy, but also an interesting person, that I would to love to share some stories with. Most police officers seem to find it hard to relax but everyone appears to have their own little routine. How did/do you relax? Relaxation for me is in two stages. The first stage is rigorous exercise. I generally wind down, either by a visit to the gym, pool, or by going for a run. This is something I’ve always done since a teenager. Stage two takes place in the evening time, either by watching TV, or going out for a meal with Liz, my wife, where we ‘catch up’ and reminisce. I’d buy a big house with pool, gym and cinema room, and make sure my two lads were set for life. Then I’d treat family and close friends. Are you a savoury or sweets guy? Sitting at the table with my Mum, drawing. What has been your favourite year and why? 2006 – when I retired from the police. Not because I hadn’t enjoyed that job, but I always wanted to be an artist and family circumstances meant that I couldn’t pursue that career. It was my opportunity to do what I had always wanted to do. What was the last thing you cried at? The week leading up to Christmas 2012 I watched ‘It’s a Wonderful Life’ (again) – I always shed a tear of joy every time I watch it. In terms of writing, an editor friend, Alan Twiddle, told me to read twelve different writers of the genre I was writing and follow carefully how each of them draft their prose. I now read novels differently. I always pass on this same advice to would-be-writers. Favourite film – It’s a Wonderful Life. It reinforces how fortunate we are to be given life, and how much we should embrace and cherish it, no matter what. Who was the most famous person you have worked with and what were they really like? David Curtis is one of Britain’s foremost artists. I met him fifteen years ago at a painting venue and instantly hit it off with him. Since then he has spent so much time passing on tips and guiding me on how to paint professionally. He has introduced me to so many professional artists, and also encouraged and supported me when I have submitted work to the Mall Galleries ‘Royal’ exhibitions. We remain good friends and paint together whenever we can. Do you think doing the work you did has an impact on what you write and how you write it? Without doubt the experiences I gained as a police officer, especially as a detective, have been a big influence on my story-telling as a crime-writer. Lovely to chat to you Michael. Good luck with the novels and Bob and I are looking forward to catching up with you when we next head north! I know Bob is particularly keen to share ‘war’ stories with you. 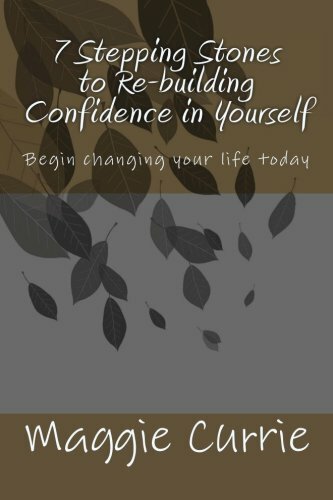 Here are links to Michael’s website and images of his published books by Caffeine Nights Publishers. A poem written about our book signing tour- how kind… Look out for ‘Reads Ramblings’ Coming Soon! Feeling all the excitement and the troubles and the strife. Heads spinning with arrangements, emails, blogs and more!! Hope it all turns out good fun. With a different tale to tell. How fast will our books sell? Deadly focus and Consequences to name just the first two books. Real life scenario’s written how the crime scene looks. Dealing with the trauma’s experiences and emotions. A day in the real world of police work and all its commotions’. The reviews and sales have been great. Our customers encouraging us to sit down and write. We hope with all our hard work and dedication we are able to state our name to fame. We have lots more books to follow on, that’s the name of the game. Thank you to all the people we have met along the way and the hundreds that have been in touch via email’s to have their say. R.C. Bridgestock signing out, until the next time, remembers the name and look out for our books, our special claims to fame.